Buyers can stay rest assured for damage-free products from our end as we make use of quality packing material. 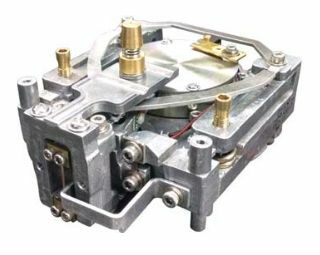 We also fulfill different packing requirements of the clients such as customized or standard. In order to attain complete client credibility, we offer several options to the clients. Also, we make sure that the transaction is completely secure and confidential. Technology : All Aczet High Performance Jewellery Balances are based on Electro magnetic force compensation principal. The compensated principal is superior to conventional systems due to improved dynamic & static performance. THE BRILLIANT MONO-TECH : Unique & unequalled high end MONOTECH technology (Weigh Sensor) to match the highest international standards. Display : High Contrast Backlit LCD display is exceptionally easy to read under any room lighting conditions. Capacity Bar : Capacity Bar graph show how much of the weighing range is still available. Printer : Can be connect with any Diamond & Jewellery Balances of Aczet. 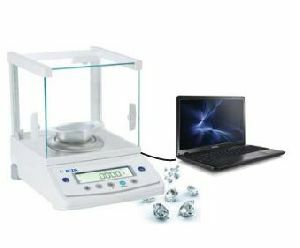 Date, Time Statistic & Totalization function which enables for printing any Diamond & Jewellery Weights printouts. It’s provides easily readable records on normal paper which last for years. 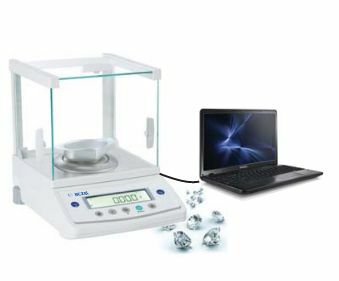 Flexibility : User can weigh various weighing units like mg, g, ct, oz, dwt, tola, mommes, baht, grain, mesghal, ozt, Hong Kong Taels, Singapore Taels, Taiwan Taels. This extends flexibility to the user. Underweighing : Standard Under weighing hook for below balance weighing. Easy Data Transfer : Only a single cable is required to transfer balance data to MS Excel or other Windows application through RS232C interface. No troublesome interface attachment or software installation is necessary. 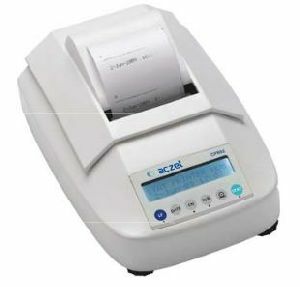 This unique feature akes Aczet balance extremely convenient for data analysis. Optional : Aczet Data Printer is available for printing Weighing Data with Time & Date Formulation.